Dr Stephen M Cullen is a Senior Research Fellow in the Centre for Educational Development, Appraisal and Research (CEDAR). His background is in teaching, having taught economics, politics, and history at schools, including Eton, and for the Open University. He holds an M.A. (Hons) in politics and economic history from the University of Edinburgh, an M.Litt. in political history from the University of Oxford, and a D.Phil. in modern history from the University of Oxford. He studied at Nuffield College, Oxford, and Wolfson College, Oxford. 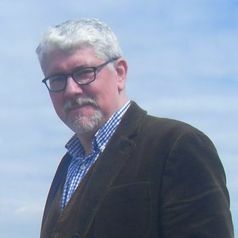 He also has research interests in twentieth century British history and literature, and has published in the Journal of Contemporary History, History, Welsh History Review, Oral History, The Historian, The Scottish Historical Review, Cultural & Social History, Women's History Review, History Scotland, The English Review, and Socialist History.